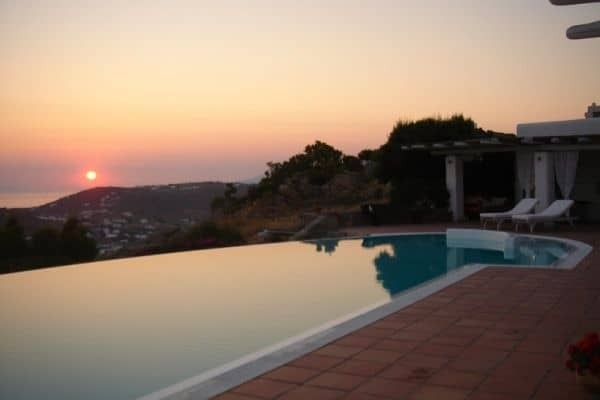 An intimate family home, that is also a perfect holiday idyll and secluded outdoors party-house with sublime sea and sunset views is a like a dream come true at this luxurious Mykonos villa. 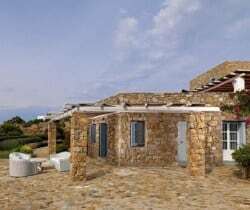 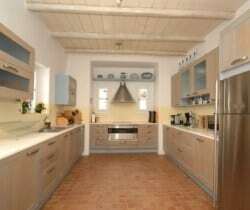 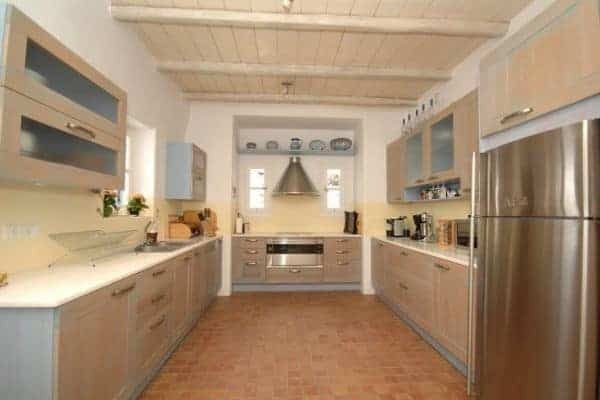 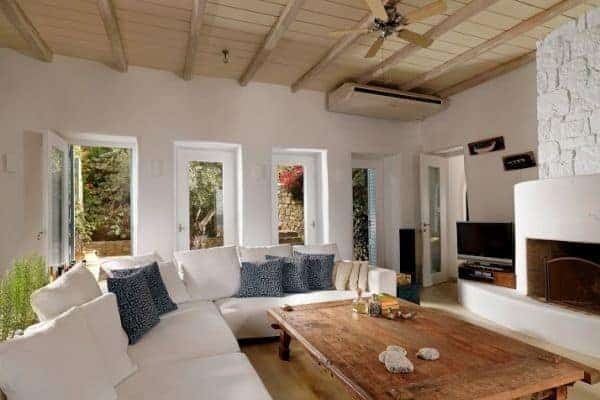 Sited at the end of a private and gated (electric) road, there is no traffic, noise nor neighbours to disturb the tranquillity of this lovely home in the quiet neighbourhood of Agios Lazaros. 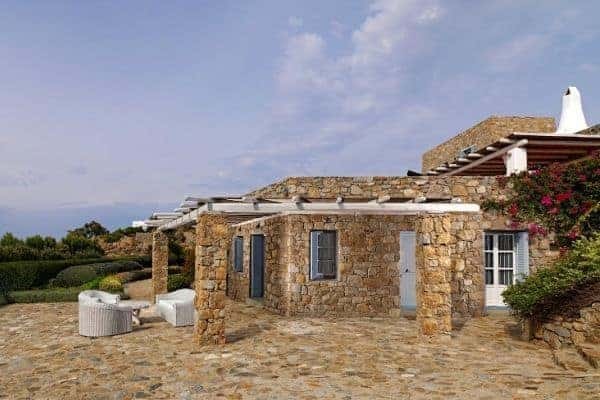 This is one of the most exclusive areas on the island and a convenient 5 minutes by car away from Mykonos town and the cosmopolitan Psarou beach. 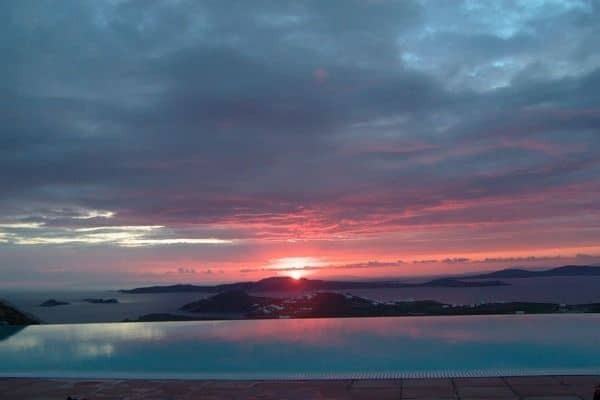 There are several other lovely beaches on the island, which are 10—15 minutes drive away from this villa, which is walled to provide maximum security and privacy. 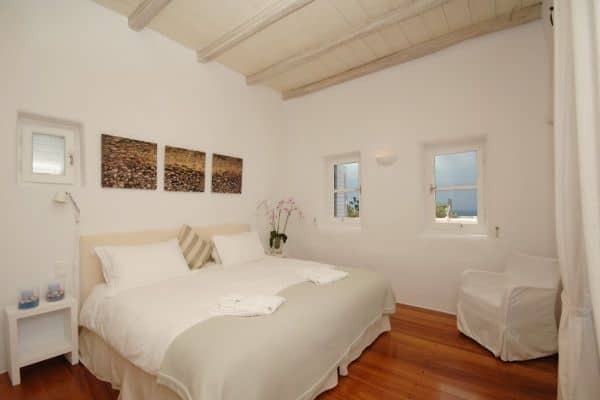 The property is styled in the traditional Cycladic manner: exposed stone exterior, with an intriguing interior of high wood ceilings, whitewashed walls, plentiful window-doors opening to the outside terraces and flooring that ranges from pavement-style tiling to tiled floor to cobbled stone in the shaded barbecue area. 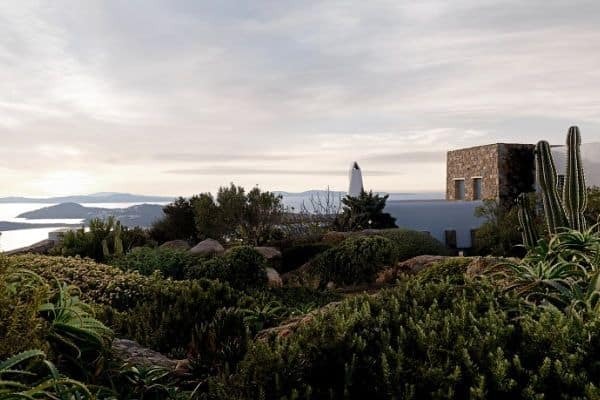 Here is a unique and exclusive architect-designed residence, which inside has an appealing multi-cultural blend of Balinese bespoke and contemporary furnishings, as well as enchanting terraces that are spacious and offer spectacular panoramas of the Aegean Sea and the island of Delos. 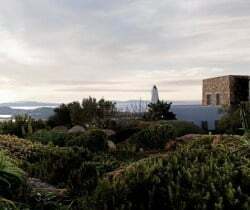 The villa’s 17-metre long bean-shaped infinity swimming pool is almost spectral and the landscape garden is equally alluring; laden with several enticing paths through its overflowing variety of flowers, plants, olive and lemon groves. 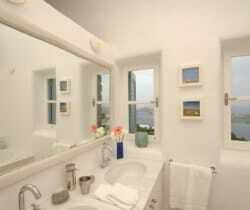 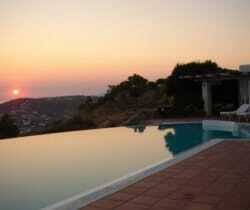 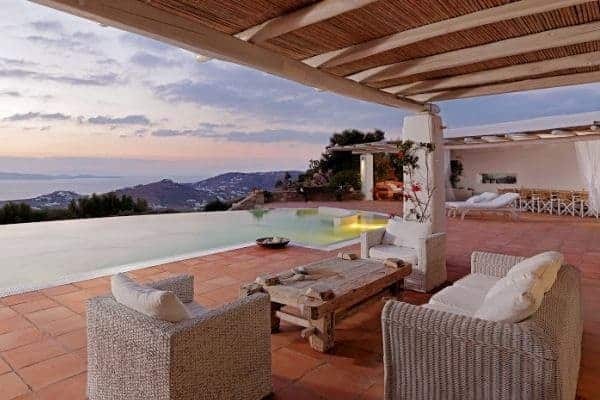 Holiday destinations and homes do not come much better! 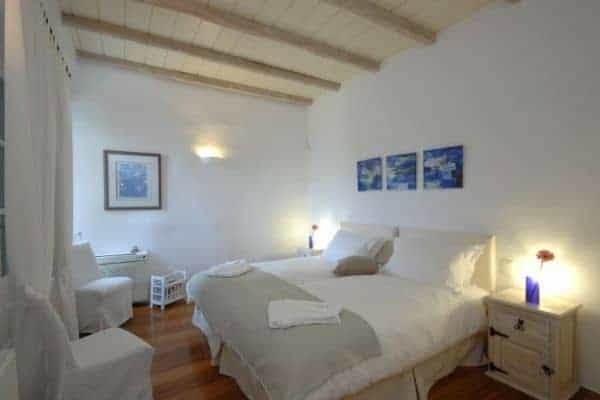 This very spacious villa has a separate annex, which is uniquely underneath the pool, and is arranged to sleep a capacity of 12 in 6 commodious bedrooms: 4 en suite, 2 with a shared bathroom and evenly distributed, with 3 in the main building and 3 in the annex. 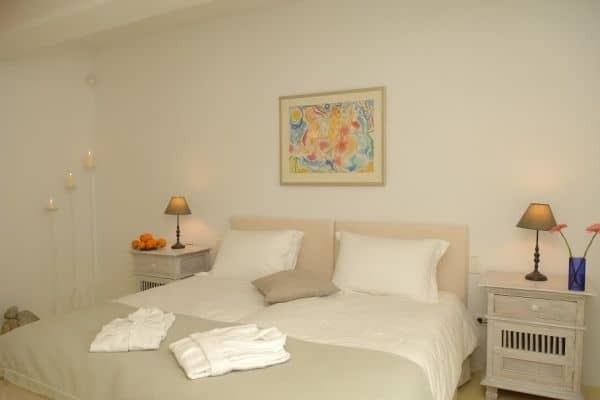 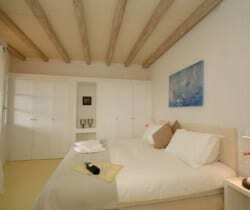 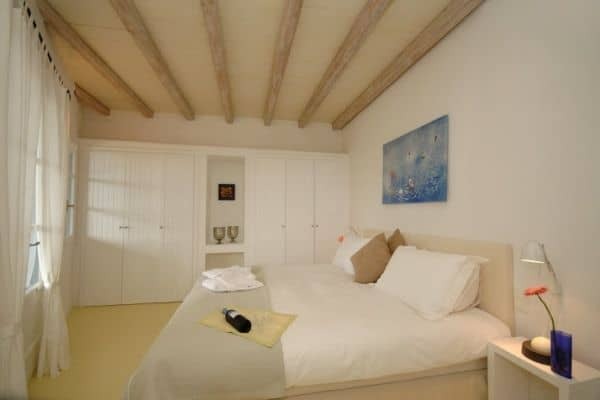 There is one single bedroom en suite on the ground floor designated for staff and an additional bedroom exclusively for the use of the villa’s 2 permanent live-in staff (20 years of experience working with VIPs). 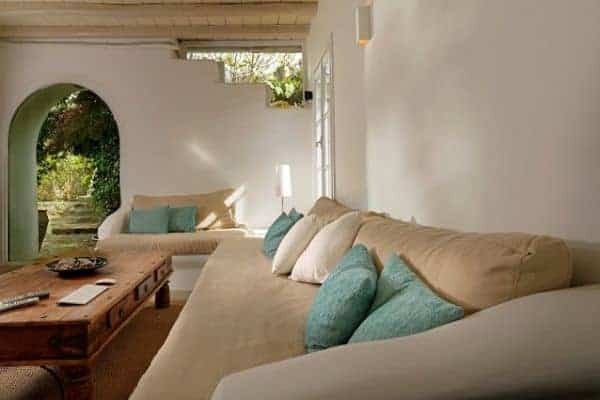 Enjoy all the trappings and comforts of a stylish home that is epic in every way and allows guests to readily submerge into relax mode, with a real sense of utter seclusion and tranquillity. 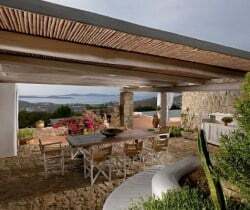 They will find it also readily easy to change gears for grand entertaining, particularly outside on the villa’ captivating terraces – with lounge, dining (seats 14) and barbecue (seats 8) areas all under the cover of a pergola – that are installed with special exterior lighting and high-quality audio systems. 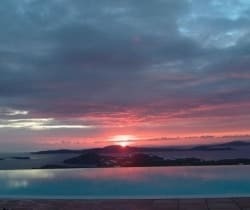 All the while, for all to enjoy, there is the spectacular backdrop of the Aegean Sea and a daily front row seat of the magical sunset on the horizon. 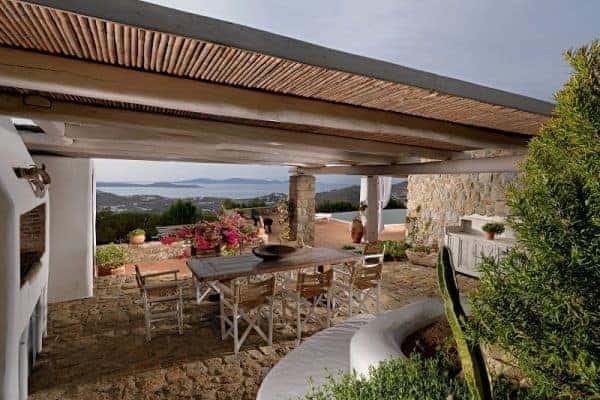 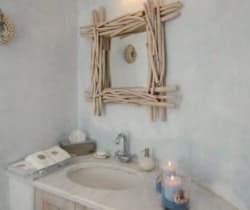 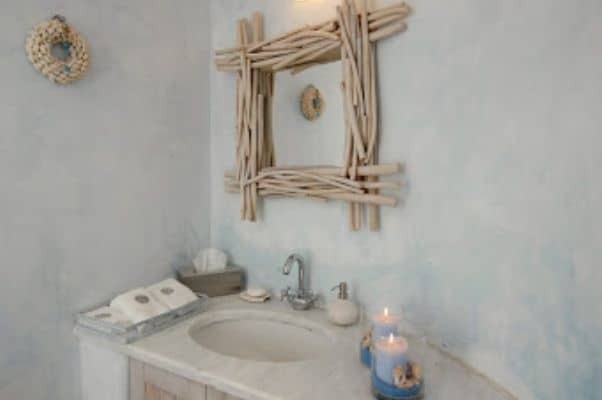 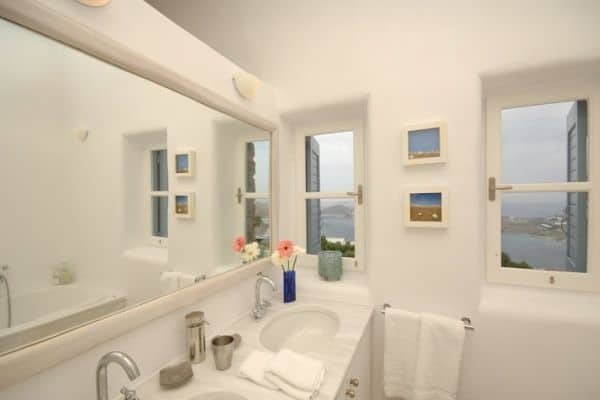 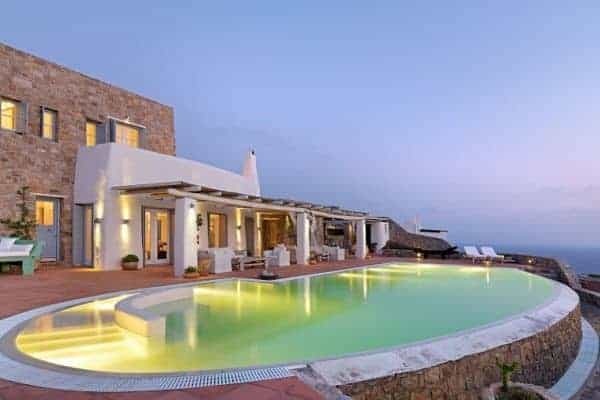 This most luxurious villa has been the venue of several notable parties yet it is foremost a fantastic home for friends and large families to enjoy a marvellously memorable and privileged holiday in Mykonos. 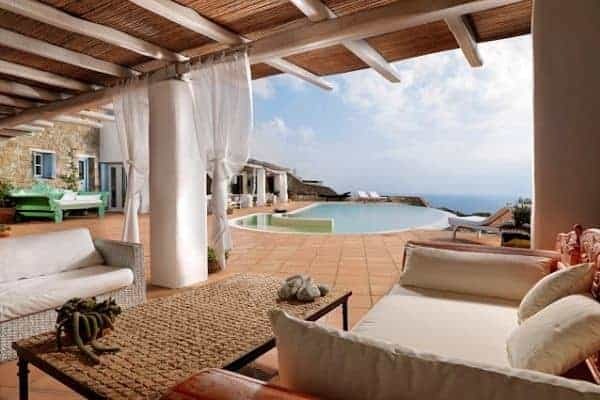 Independent young adults (20-30 year olds), who may want to visit the hot spots of the island’s legendary nightlife, may find the villa’s location less appealing due to its short distance from Mykonos town.